Charles Hurst Group Limited, Northern Ireland’s biggest car retailer, today (Thursday 24th September) revealed its new, £1 million, state-of-the-art car showroom designed exclusively for luxury brand Aston Martin. Officially opened by Aston Martin General Manager, UK and South Africa, Marcus Blake, the news comes as Aston Martin prepares to take centre stage with the upcoming premiere of Spectre, the latest instalment in the James Bond franchise. A DB10 designed and built exclusively for the film, was unveiled for the first time at the launch of the new showroom. Charles Hurst – the only car retailer on the island of Ireland which sell this elite brand – has constructed a bespoke, high-tech new showroom to exacting standards for this sought-after marque, featuring floor-to-ceiling glass windows and a unique luxury interior. Colin McNab, Operations Director, Charles Hurst, said the new showroom underlined the company's focus, commitment and continued investment in the world's best car brands. “Our existing facilities already established across Northern Ireland have been complemented greatly by this exciting new dealership. Belfast is officially home to the ultimate in super-luxury motoring and Charles Hurst Group is proud to be opening this first-class showroom to fulfil the needs of our loyal customers and potential owners. 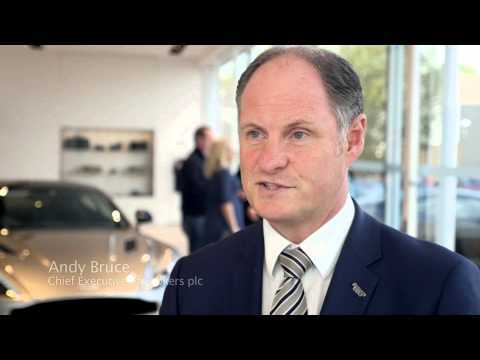 Charles Hurst Group is Northern Ireland’s largest car retailer. A division of Lookers plc, one of the UK’s principal automotive retail and distribution groups, Charles Hurst covers 19 franchises across seven sites, offering customers across Ireland the most comprehensive choice of new and used vehicles, parts and servicing. With more than 700 employees, Charles Hurst is committed to exceptional customer service, and its mission statement and policy of "Customers For Life".